Two words for you: Ice cream! This tasty treat has become the guest of honor at most family gatherings and has earned a special place in our hearts. Beyond the pure indulgence of the dessert, its a fun experience to try your favorite flavor at an old fashioned ice cream parlor. Treat yourself to a scoop at on of our favorite ice cream parlors in Nevada. This is what an old fashioned ice cream parlor should look like. 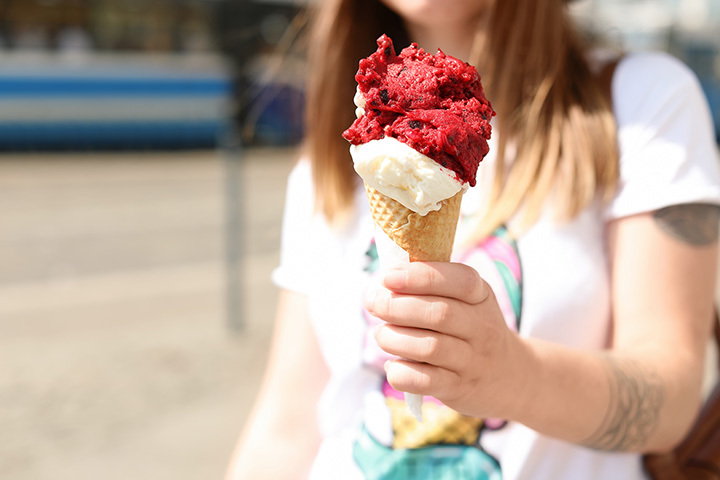 Between the variety of handmade treats that combine nicely with the ice cream to the amazing smell, this is the place to stop for a scoop or an ice cream float. This little ice cream parlor in the middle of nowhere is worth the adventure to find it! From the frosty displays to the fun decor, this is the full parlor experience. This may quickly become a part of your next road trip. Ice cream isn't just a dessert at this joint, it's an art form. The time and care they put into each flavor churns out some of the most amazing cones on the strip. Their ice cream sandwiches have quickly become a top seller but purists enjoy their cones of course. A fun, and quirky old-time soda fountain. The ice cream drinks are amazing but the star attraction is what they call their “concrete.” This thick, smooth frozen custard is just waiting for the perfect mix in. The shakes are so thick you need a spoon! Not only does Steve serve up ice cream in an adorable, home town spot, but he also makes all of the ice cream fresh on-site. The locals have come to love this New York transplant as he brings traditional ice cream fountain items to Fernley. No road trip to Tahoe is complete without stopping in at Susie Scoops! The small shop is the go to dessert option for miles around and hits the spot in the heat of the summer. Both tourists and locals enjoy the range of flavors and generous helping. The ice cream parlor is retro to go. Fixtures and decor take visitors back to the 1950s and the treats are just as cool. Whether you are looking for a cute date night spot or treats for the whole family, Freddy's is a fun choice. This ice cream spot offers interesting flavors and an endless supply of mix-in combos. With the huge menu and creative toppings, you could go here everyday and never run out of new flavors. Now that's a goal to work towards! Gelato is king at this cool counter cafe. The flavors are gourmet and they change often. Ingredients are fresh and the small batches are made in true Italian tradition. They even make smoothies with the dairy treat. An ice cream parlor with a twist. The addition of cookies means more options like ice cream sandwiches and the most amazing sundae masterpieces. The “Take Me to the Circus” sundae is a must try.